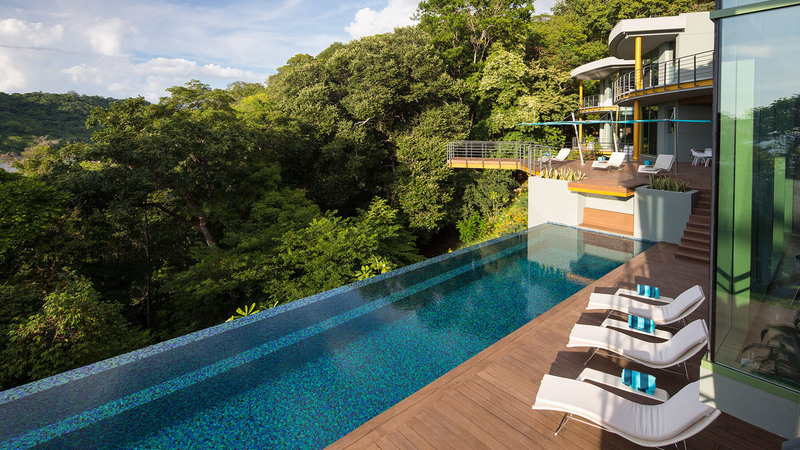 Set against the back a steep hill in a jungle in Santa Teresa Beach, Costa Rica, this modern home offers views of the Pacific Ocean and intimate relationship with its natural landscape. 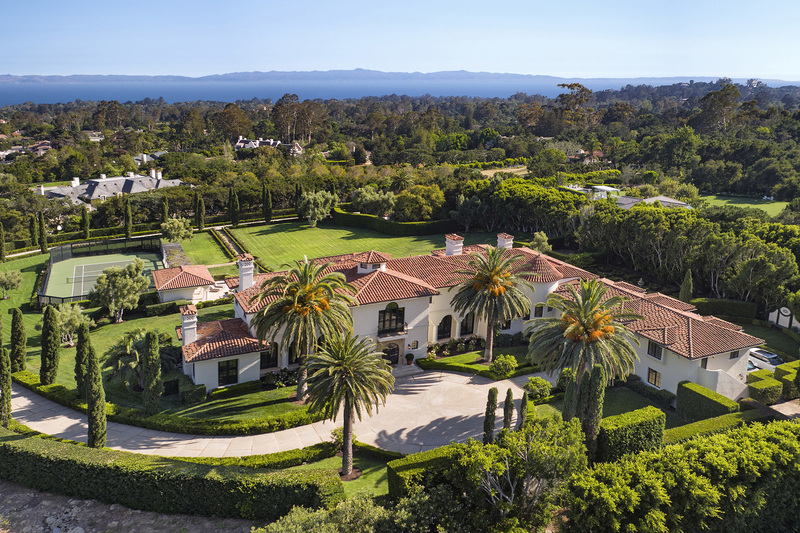 Located at 710 Picacho Lane in Montecito, California, this breathtaking retreat enjoys stunning views of the Pacific Ocean with dramatic backdrop of the Santa Ynez mountains. 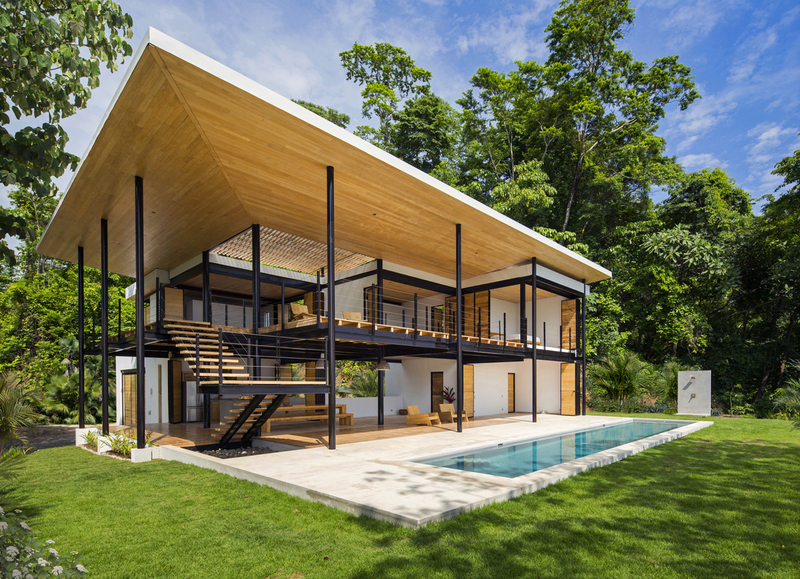 This stunning modern home in Puntarenas Canton, Costa Rica was built on a very steep slope by Benjamin Garcia Saxe Architecture. 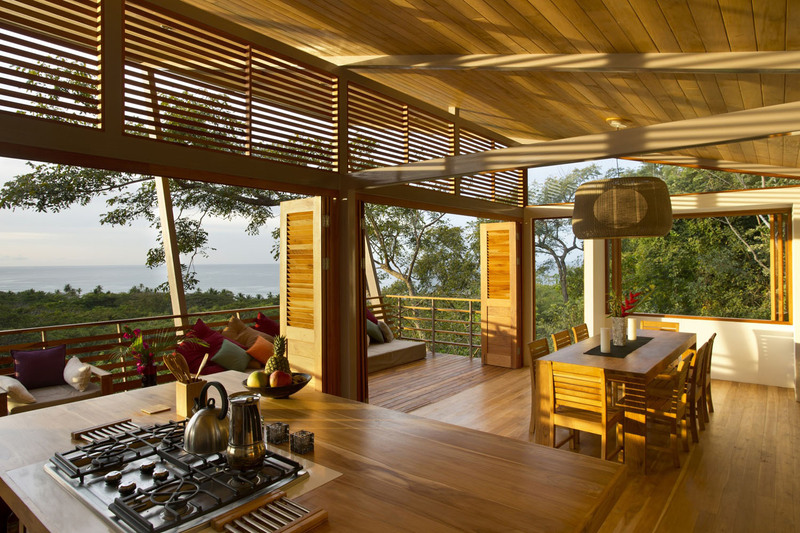 Casa Magayon is an energy efficient hillside vacation property located in Nacascolo in the Peninsula Papagayo Luxury Resort in Guanacaste, Costa Rica. 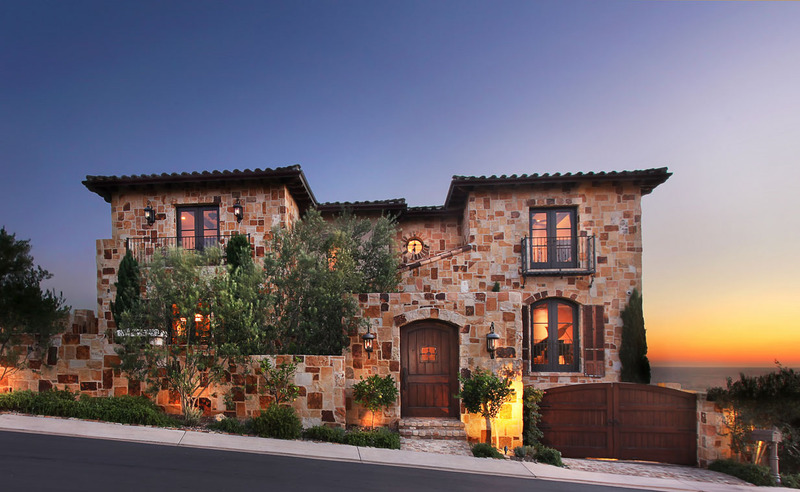 This romantic estate located at 1 Oceanfront Lane in Dana Point, California is a stunning oceanfront luxury home with Tuscan farmhouse architecture and styling. 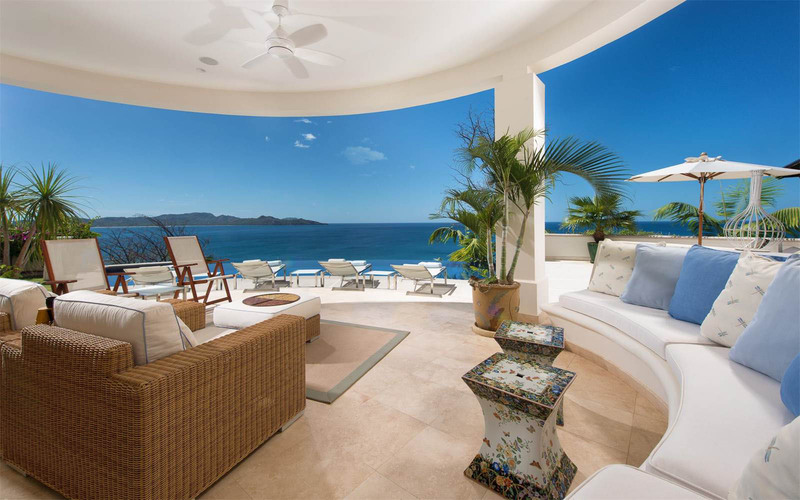 Designed by architect Stan Schrofer, the home spans over 8,000 square feet and is only steps to Strand Beach. 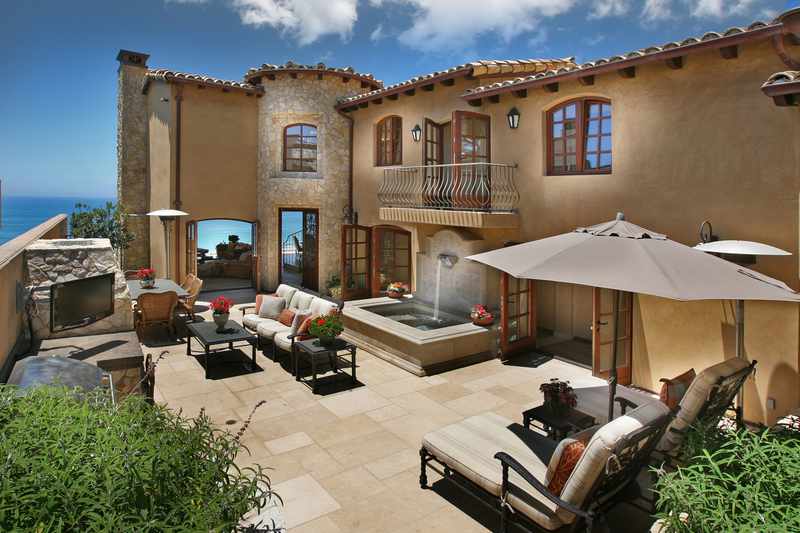 Located on Barranca Way in Laguna Beach, California, this Mediterranean inspired luxury home enjoys breathtaking views of Catalina Island and the Pacific Ocean. There is a beautiful stone entry courtyard with outdoor fireplace a private spa fountain. Dani Ridge House located in Big Sur, California was designed by Carver + Schicketanz. This beautiful modern home with rustic elements and has breathtaking views of the Pacific Ocean. Stone, wood and glass are the main materials used to provide the interiors with a relaxed yet modern country feel.